February is here and along with it comes some of the events many of us are looking forward to. Groundhog Day, Superbowl, Mardi Gras, Valentine’s Day, and Black History Month. However, it seems that some of the one day events out shine Black History Month. Sadly, many of us don’t remember that this event even happens unless we’re in school or have kids that will be doing a project on a political Black figure as part of their history class. 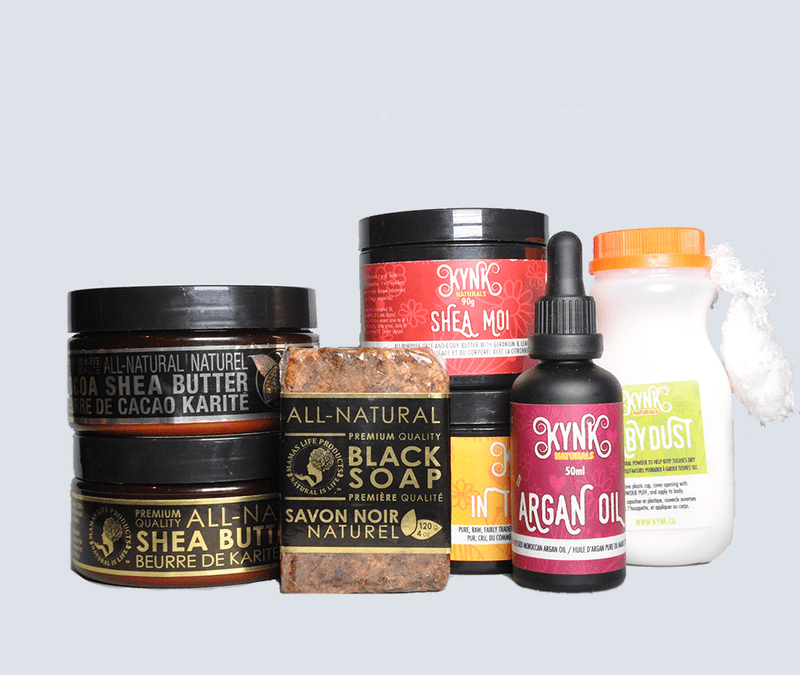 This February we at The Big Carrot have decided to acknowledge our support for the Black community both customers and suppliers by picking two cosmetic companies that are not only Black owned but Canadian as well. The companies we’ve decided to hightligh this month are Kynk Naturals and Mama’s Life Products. I had the opportunity to learn more about the founders and their companies by doing short interviews with each of them. In the following content you will learn about the products we carry from these companies and about the people behind them. Is a Canadian company started by a lovely woman named Esenje. She believes if you can’t eat it, why put it on your body. Which makes sense. A lot of us worry about what we eat but overlook things such as hairspray and body lotion. Luckily for us, The Big Carrot sells Kynk Naturals shea butters, argan oils and select hair products. Shea butter comes from the nut of the Karite tree which can only be found in Africa. It has many benefits that range from being able to fade scar marks to moisturizing the skin. Argan oil is also for helping to moisturize the skin; however, it is a dry oil which means it won’t leave you feeling greasy. 1. Who/what made you want to get into the natural cosmetics industry? I had struggled with my hair & skin since I started using chemical relaxers as a kid. By the time I was in my mid-twenties, I had enough. A friend asked “if you’re not willing to eat it, why would you spread it over the largest organ of your body?” I shaved my head, and used nothing but olive oil for 3 years. When I was in Mexico, I met a woman from Brazil who gave me the base of what has now become our beloved Hair Honey! 2. What is your favorite part of being in the industry? Connecting with people! From customers to suppliers, the world of anything natural & handcrafted nurtures beautiful points of connection. 3. What would you say sets you apart from other companies in the industry? Our small batch handcrafted approach, and that someone cooks with every ingredient somewhere in the world. 4. What would you say are some challenges you’ve come across in this industry? The “why pay more” mentality is hard to compete with. We do not want to outsource overseas to pay someone an unsustainable living wage using raw materials of questionable quality. 5. Are you working on anything new? Last year, everyone was asking for lip balm. So our new Lip Schtick was launched in January! Look for Mint Condition, and St. C’Lemons flavours. 6. Do you have any advice for anyone looking to enter the natural cosmetics industry? Be sure you are sufficiently capitalized – with extra margin, before quitting your day job! 7 . With it being black history month, who would you say has been a role model in your life from the black community (known figure or personal to you) and did they have any influence on you starting your company? I am fiercely blessed and proud to be a Canadian. I do everything I can to support Canadian suppliers, vendors/ stores, and other businesses. I know it costs more, but I believe it is well worth it! If you wish to learn more about Kynk Naturals please visit www.kynk.ca or visit our bodycare department. This company was started by Ahmed who was inspired by his mother and his families use of shea butter for pretty much everything. MLP is known for their shea butters (unscented, lavender, lemongrass and vanilla) as well as their black soap. MLP uses the traditional make of black soap which contains plantain in its formula. Plantain has antibacterial properties that can help treat acne breakouts and fade scarring. Black soap is a gentle cleanser that can be used on both the face and the body. It is ideal for people that have rosacea, rashes, dryness and any other skin condition. 2. What is you favorite part of being in the industry? Being in the chemistry lab is my one of my favorite parts of being in the industry. It is a world of endless possibilities. I really enjoy exploring my imagination and finding solutions for the marketplace. Having the ability to really make a difference within the lives of our customers by providing natural, affordable and effective health and beauty products that are free from harsh chemicals is rewarding. Our customer service and the quality of our products set us apart from other companies. We treat and value each and every one of customers with the utmost respect and appreciation, recognizing that they make what we do possible. Without them, there is no us! In addition, we treat the quality of our products very seriously. The pillars of our company are research, innovation and quality. For these reasons, we employ advance analytical instrumentations to assist with each of our formulations. At Mamas Life Products (MLP) we spend countless hours in the lab constantly seeking out ways to provide the best product and service to our customers. As we like to say “ MLP is where science meets nature ”. In addition to my personal passion and desire of wanting to help others. Through Fair Trade initiatives, we at MLP create economic and sustainable opportunities for the women in Ghana who are the main harvesters and suppliers of Shea Butter. Furthermore, we are positioning ourselves, to assist in the training of woman, thus creating more employment opportunities through the Shea harvest and production process in Ghana. Finding mentorship within the industry, the delicate balance between scaling up and maintaining quality and the temptation to keep up with the latest trend are some of the challenges we have come across in the industry. Always! 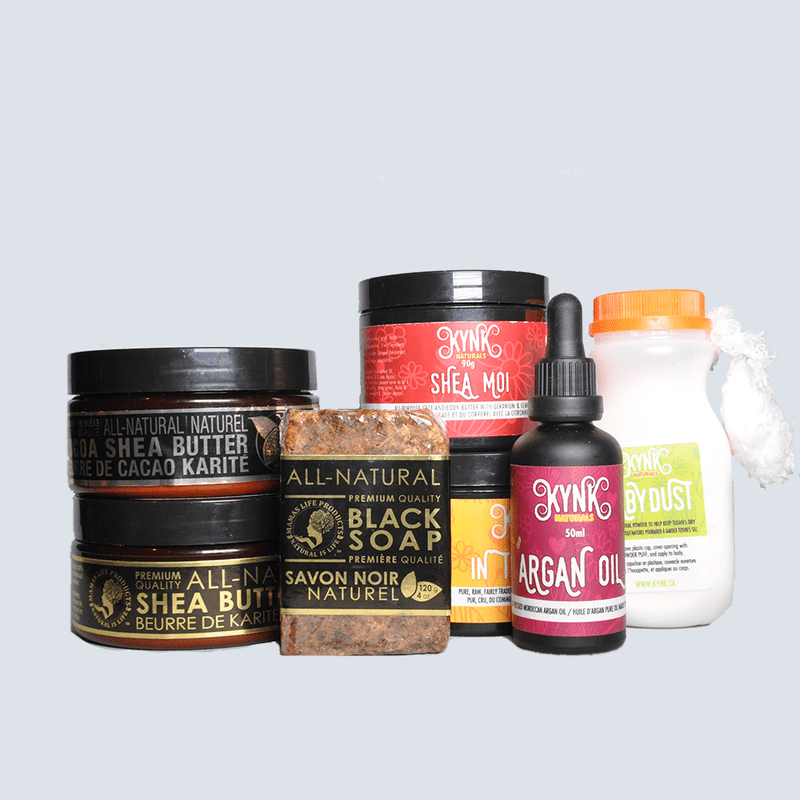 We recently launched a few new products consisting of a Black Soap Body Wash, Facial Cleanser, Shampoo, and a Hair and Scalp Nourishing 10 Oil Blend. In addition, our new Bergamot Orange and Wintergreen Eucalyptus body butters are ready hit the shelves. Just start! Persistence against the resistance. If you can envision it, you can achieve it. Your confidence in yourself/product is very important. Your consistency will determine your credibility, so be mindful of sticking to your company’s values long term. Above all, be true to yourself; treat your customers, as you would like to be treated. 7. With it being black history month, who would you say has been a role model in your life from the black community (known figure or personal to you) and did they have any influence on you starting your company? Booker T. Washington has always stood out as a role model to me. As a part of his legacy he made great contributions to the Tuskegee institute. Booker T. Washington was passionate about education, and was instrumental in various initiatives such as teaching blacks after the civil war period in America, skills that would increase there value and strengthen their efforts to assist with building communities in sustainable ways. This example has always resonated with me, as education is the most important vehicle one can use to change his or her world for the better. Mamas Life Products is a company that is proudly Canadian! “The true north strong and free!” Canada’s diversity and inclusion make us proud to be a Canadian company. We are excited about building a strong brand that not only supports Fair trade and sustainability initiatives, but also creates jobs for fellow Canadians through mentorship and entrepreneurship. We are excited about the road ahead and we thank Canada and the many before us, who have made their contributions to create a country where companies such as Mamas Life Products can flourish! If you wish to learn more about Mama’s Life Products please visit www.mamaslifeproducts.com or visit our bodycare department. We would like to thank both these amazing companies for taking the time to share their stories. We know they are both very busy trying to perfect new products and pleasing their customers. 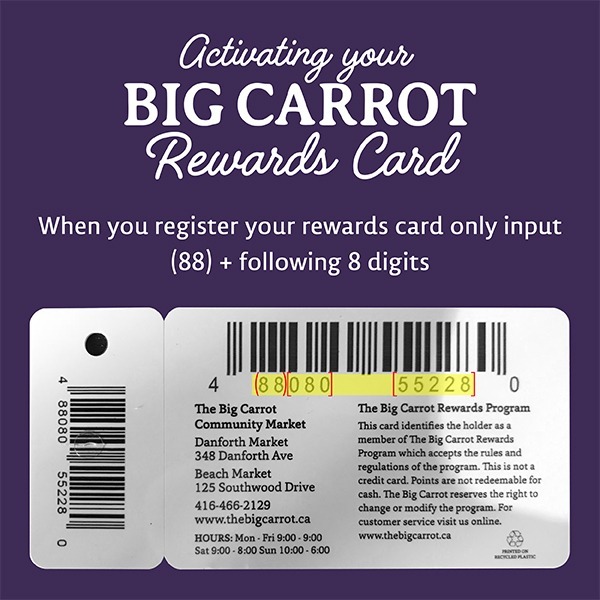 The Big Carrot is proud to carry the products of both these companies and look forward to new products launching in the near future.